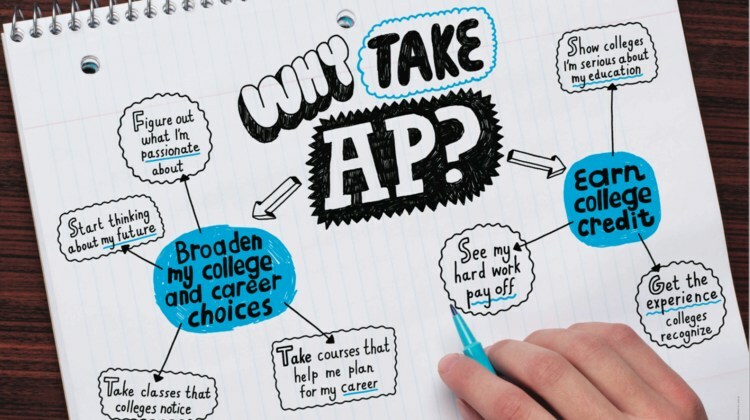 AP English Language and Composition (11th Grade) This course is designed for students to work with rhetoric by examining the authors’ purposes as well as the audiences and the subjects in texts. Students write in a variety of modes for a variety of audiences, developing a sense of personal style and an ability to analyze how authors use language to convey their ideas. Because our students live in a highly visual world, we also study of visual media such as photographs, films, advertisements, comic strips, and music videos. AP English Literature and Composition (12th Grade) We will study various classic and modern authors from Spain and Latin American countries, to understand the universality of the human condition realizing that it crosses lines of time and culture. We will spend time watching films, going to the theater and museums, tasting delicious food, reading magical short stories and poems, contrasting them with extraordinary art pieces, and finally getting you to create your own literary piece. Honors English 10 An accelerated version of 10th grade ELA to prepare you for 11th Grade AP Eng. Language culminating in the ELA Regents Exam. AP Spanish Language and Culture (11th and 12th Grade) The course requires students to improve their proficiency across the three modes of communication. Students communicate using rich, advanced vocabulary and linguistic structures as they build proficiency in all modes of communication toward the pre - advanced level. AP Spanish Literature and Culture (11th & 12th Grade) This course is designed to introduce students to the formal study of Peninsular Spanish, Latin American, and US Hispanic literature at a third year college level. The course aims to develop students’ critical reading and analytical writing skills in Spanish. AP Psychology (10th, 11th or 12th Grades) Psychology is a social science which encompasses a cross - section of personality, biology and social/ cultural influences on who we are. We will look at personality disorders, study the brain and consider how we are affected by our peers, culture and the media. AP World History (10th Grade) The AP World History Course is designed to provide you with the analytical skills and factual knowledge necessary to deal critically with the problems and materials in World History. You will acquire the skills you will need to conquer multiple choice questions, how to write a concise, analytical thesis, and how to construct a quality essay worthy of today’s college standards. Your learning will be conducted through your own readings, investigations, and most importantly, your classroom discussions with one another. AP U.S. History (11th Grade) The AP U.S. History course focuses on developing students’ understanding of American history from approximately 1491 to the present. The course has students investigate the content of U.S. history for significant events, individuals, developments, and processes in nine historical periods, and develop and use the same thinking skills and methods (analyzing primary and secondary sources, making historical comparisons, chronological reasoning, and argumentation) employed by historians when they study the past. AP Comparative Government & Politics (12th Grade) This course is designed to enable students to become engaged citizens of the world by making them more analytical in the understanding of current and past political events by comparing the institutions and government of 6 politically diverse core countries: The United Kingdom and the EU, Russia, Mexico and NAFTA, Nigeria and Iran. The study of current events is an integral part of the course. AP Environmental Science (12th Grade) The AP Environmental Science course is the equivalent of a one semester, introductory college course in environmental science, through which students engage with the scientific principles, concepts, and methodologies required to understand the interrelationships of the natural world. AP Calculus (12th Grade) This course teaches students to approach calculus concepts and problems when they are represented graphically, numerically, analytically, and verbally, and to make connections among these representations. Students learn how to use technology to help solve problems, experiment, interpret results, and support conclusions.